Time for some minion rush!! 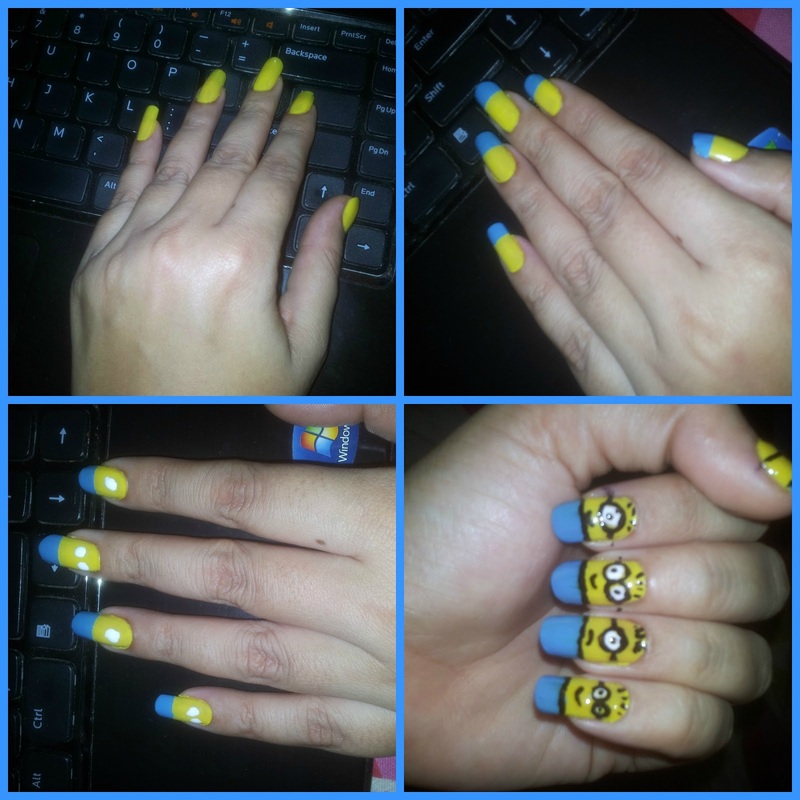 These little "cousins" of Gru are so cute that I couldn't stop myself from flaunting them on my nails. 5. Apply a clear coat and you are done! 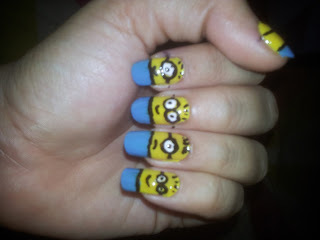 What are your fav nail arts? Lemme know, I can make tutorials for your fav designs. Hi thr, Read your blog about ur trip to Nandi Hills. Very nice blog with pics. Me and my sister are planning to visit Nandi Hills next month on our kinetic. Was wondering if the roads were safe to ride considering hills. Did you guys switch off the engine downhill? Need some tips. If your kinetic is in god condition it should not be a problem. The turns really get 'adventurous' as you go higher. Downhill was fine with engine off, we went on bike though. Hey Sneha, Thanks for your reply. Kinetic in good condition with a back tyre too incase if anything goes wrong. :) Have to be careful while riding in curves as it will be my first experience. downhill, you guys switched off engine from top or just in parts on the way? Sure for me will be easier being on kinetic and no need to worry about engines on.